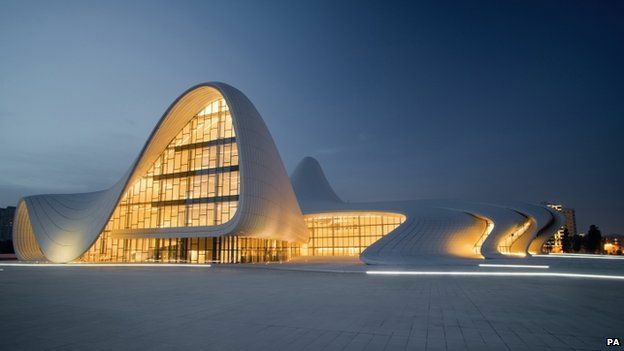 One of my favourite architects, Dame Zaha Hadid, has been awarded RIBA Royal Gold Medal for architecture This is fantastic news. It makes her the first woman to be awarded the honour in her own right. 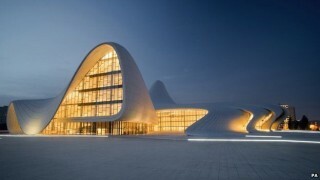 The picture above shows the Heydar Aliyev Centre, which she designed in Baku, Azerbaijan. This won the Design Museum Design of the Year Award. She was also the first woman to win the top prize in that competition. 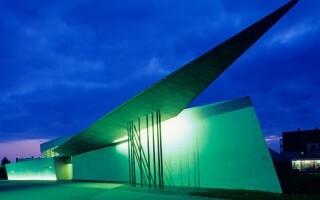 My favourite building of hers is the Vitra Fire Station (see image below) in Weil am Rhein which was completed in 1993. I always feel it defines the space rather than occupying it. When I went to her exhibition at the Guggenheim Museum (New York) in 2006 it was interesting to see how her deconstructivist theory is developed through her paintings and conceptual art. I plan to visit her London Aquatics Centre this November while I am in London.